There is good news for senior citizens in the age group of 61-65 years. There is good news for senior citizens in the age group of 61-65 years. 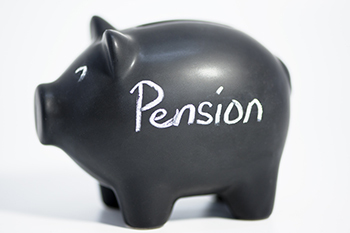 The Pension Fund Regulatory and Development Authority of India (PFRDAI) has revised the maximum entry age for joining the National Pension System (NPS) from 60 years to 65 years. With this revision, any individual between the age of 18 years and 65 years can join the NPS. However, the maximum age for contribution under NPS remains unchanged at 70 years, so a senior citizen joining the scheme at the age of 65 gets 5 years to build up the retirement corpus. The decision to raise the maximum entry age from 60 years to 65 years comes in the wake of the feedback received by the PFRDA from senior citizens above the age of 60 about their desire to join the scheme. The other major factor PFRDA took into consideration while deciding on the revision in entry age is that the longevity of Indian people has increased and, therefore, people do not retire at the age of 60 and continue to work beyond 60 years of age. The NPS has emerged as a scheme for income security of senior citizens. The scheme is open to all citizens of India and offers a diverse choice of investment schemes based on the risk appetite and objectives of investment.